Successful brands evoke feelings from their consumers. The best brands pick specific positive and relevant feelings that can be associated with the products they represent and laser-focus their advertising to drive home messages reflective of those feelings. Coca-Cola is about togetherness and good times. Band-Aid is about comfort and security during life's boo-boos. McDonald's is about getting a quarter-pounder with cheese anywhere in the world at most times throughout the day (although they may call it a Royale with cheese if they have the metric system). If someone read through every tweet you've ever posted, what would you be about? If your answer might be unclear or unpleasant, consider this personal branding 101 strategy for Twitter. You evoke feelings from Twitter followers, good or bad. The first step of a strong Twitter personal brand is to figure out what feelings you want people to associate with you. Next, simply reference your strengths when you tweet and think about how to emphasize them as you craft your update. This small, yet powerful habit can help shape and reinforce a greater personal brand through Twitter. Using my strengths as an example, Maximizers might want to share ideas about business process improvement or optimization while those with Futuristic might demonstrate this strength best by tweeting about new products like Google Glass. Using two or more strengths within a single tweet takes practice, but emphasizes even more your unique combination of attributes. Activator/Communication tweets might be about empowering staff using social media. Futuristic/Strategic/Maximizer tweets might predict the best demographic to target for market success when developing for Google Glass. Even personal/humorous tweets can be "on-brand" when they align what you're good at as a person. Using your strengths as a guide to what to tweet doesn't turn out to be all that confining. It's just more of an ongoing reminder of how to best position the types of things you want to share in a way that reinforces a consistent brand and evoke the desired emotions and feelings about your personal brand. If you know your strengths, try out this exercise over the next few weeks to see if you can get into the habit, and if you do, come back and share whether you think it helped your personal brand take hold on Twitter. 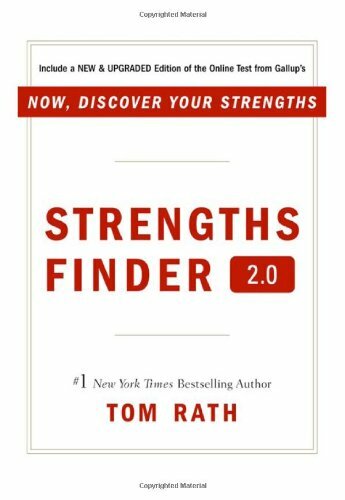 If you don't know your strengths, take the StrengthsFinder personality assessment at the end of every new copy of Tom Rath's StrengthsFinder 2.0. The folks at Squarespace continue to refine Squarespace 6, the newest version of the content management system and blogging platform. Last week they released a handful of new features, including social media profile support for Facebook Pages. When Squarespace 6 first launched this summer, Facebook support included gallery and tab integration and social link integration with your personal profile, but you couldn't override your social links on your website to display your brand's Facebook Page URL. With the change announced on the Squarespace Service Blog on October 17, Squarespace released support for Facebook Pages when integrating social links on your website. Squarespace's Facebook Page integration interface is intuitive and lightweight. Integrating your brand's Facebook Page with Squarespace is easy. Access your Squarespace website's administrative settings, and navigate to the Connected Accounts menu. Add a Facebook connection, and use to drop-down to select the appropriate Facebook Page from the Push Target field. Squarespace templates that support social links will now display your Facebook Page link instead of your personal profile link. This menu can also be leveraged to create a default posting format for your Facebook statuses when you publish new content on your Squarespace blog. You can use dynamic fields, such as your post titles, URLs, and authors. How important is Facebook to your Squarespace website? Is it critical to the success of your brand, or is there another social network that is even more important than Facebook? There's a relationship between working and the capacity for more work that works like a battery. Hard work requires time off or you'll become much less efficient in what you're doing. Stephen Covey called it production and production capability. We often focus so much on producing, and yet we rarely take time to actively relax.